The employer branding landscape has evolved dramatically in recent years, and with more and more people spending time on social media every day, companies are recognising the benefits to be had from using social platforms for brand promotion. Pretty much everyone has some kind of employer brand presence online, but one area that is still unexplored for many is employee advocacy. Employee advocacy is the promotion of an organisation by its own employees, sometimes simply by re-sharing and endorsing branded content online, or sometimes by sharing their own unique content that showcases exactly why they enjoy working for that employer. The companies that are getting the most out of their advocacy efforts are the ones who can combine a robust underlying strategy with genuine employee buy in and involvement, and one company who is nailing this right now is Sky. 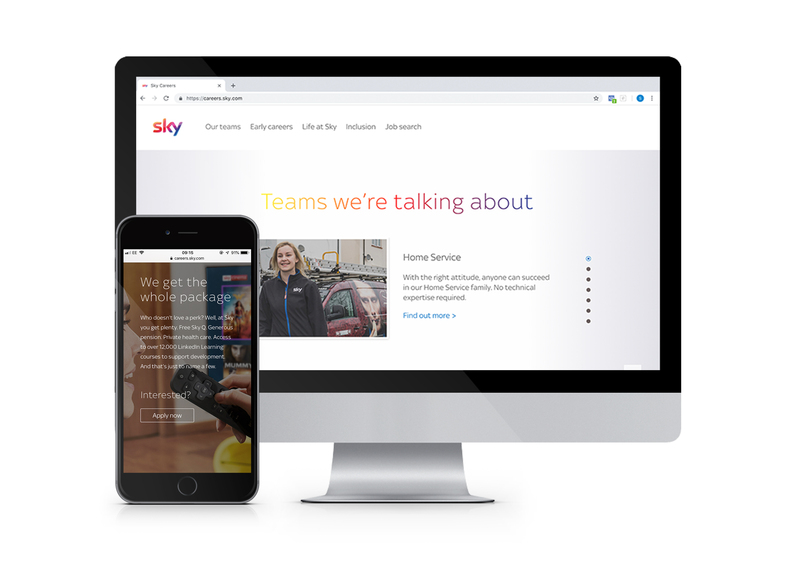 With over 23 million customers across seven countries, Sky is a brand that most of us know well, and with their innovative #LifeAtSky advocacy programme they are raising awareness of their employer brand and highlighting what makes Sky a great place to work too. We caught up with Nadia Marouf, Employer Brand Specialist at Sky to find out more about #LifeAtSky, and the key things to consider when starting a campaign of your own. The clue is in the title, in order for your campaign to work you need to get your employees involved, and with a company like Sky that employs over 30,000 people there is a big task to educate employees not only on how to get involved, but also why they should take part. "Our role as the social media team is to bring to life our employer brand through engaging content, and inspire our people to tell the story of what it’s like to work at Sky on social media. When it came to engaging our people, internal communications were key. We work closely with the Internal Comms team to embed our advocacy hashtag (#LifeatSky) where appropriate. For example, if they’re promoting an event in our offices, they’ll encourage our people to share it on their social media channels using #LifeatSky. We also encouraged our leadership team to get involved with advocacy – this was important because it allowed our people to see that it’s OK to share what we’re up to at work. A lot of the content we share from our official channels are posts that our people have shared using #LifeatSky. We’ve found that these posts receive the highest engagement as they’re more authentic." No matter how well you communicate the steps to get involved in employee advocacy to your employees, without a genuinely great culture and a working environment that fosters engagement you are unlikely to see any tangible results. 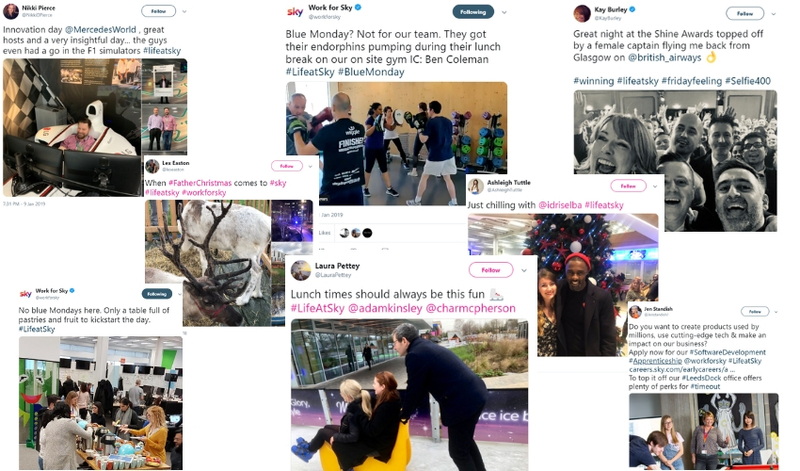 Sky has a phenomenal culture, and if you take a look at some of the #LifeAtSky moments they share online you’ll find everything from on-site ice rinks and Christmas market pop-ups, visits from celebrities including Idris Elba, charity events, glamorous celebrations and more! There are so many exciting things happening that it is actually difficult to pick just a few examples, but what is most impressive is that all of these “super perks” don’t overshadow the content that shows the honest day to day view of #LifeatSky. We get an authentic glimpse into their vibrant offices, high-tech studios and even the day in the life of a Home Service Engineer which helps show candidates what makes this a great place to work every day, and not just on those extra fun days at Sky! One of the reasons that companies shy away from advocacy is because they are scared of letting their employees loose on social media to share their own views under the main brand name. You can see why some organisations feel this way, but if you choose only to control all social content from your main brand accounts then you will miss out on two great opportunities: increasing the reach of your content and overall employer brand awareness, and building trust in your brand as a potential employer. Employee advocacy is a great way to increase applications for those hard to fill roles as well as share specific messages to support your different recruitment objectives. In 2018 Sky created a campaign aimed at leveling the playing field in Home Service by attracting more females to become Home Service Engineers. “We ran a campaign aimed at challenging the misconceptions of being a Home Service Engineer – primarily that it’s a role for men. The campaign proposition was that a career in Home Service could be surprisingly up your street. 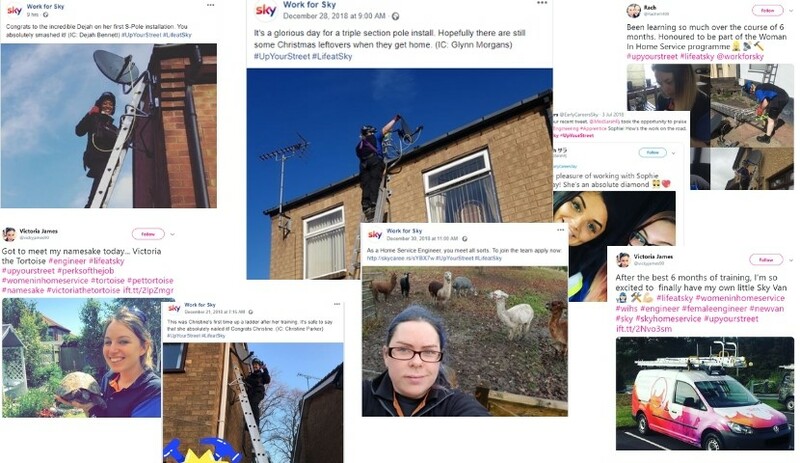 We focused on inspiring our female Home Service Engineers to share what working in Home Service is really like on social media using #LifeatSky and #UpYourStreet – a far more authentic story than anyone in the social media team could tell themselves. Before you embark on any employee advocacy initiative it is important that you identify the reasons why you are doing it, and where necessary define key metrics to help you track the success of your campaigns. There are plenty of benefits to be had from advocacy, including increased brand awareness, increased trust in your employer brand and a higher level of direct job applications. 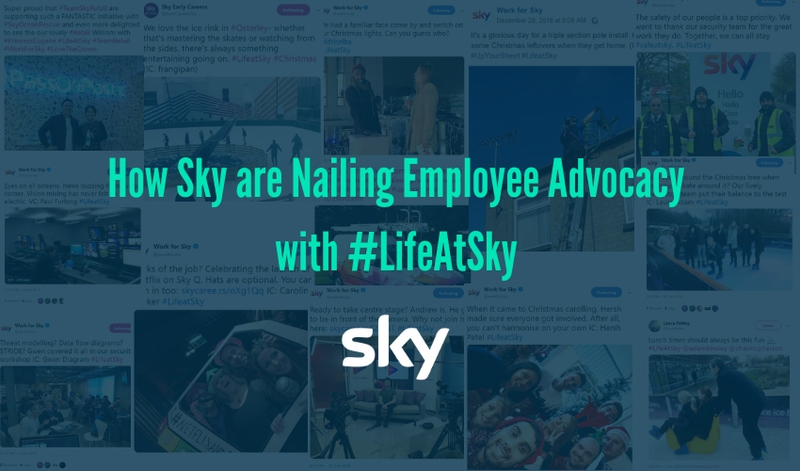 If you’d like to check out more of the #LifeatSky employee advocacy campaign you can do so on their Twitter, Facebook and LinkedIn pages, or to find out about the latest career opportunities they have across the UK visit their careers page.